One of the most difficult things with technology is knowing the questions to ask. With so much jargon it’s easy to feel overwhelmed. Let me work with you to define your problem and propose a solution that strips away the technobabble, and provides you with a customized solution. 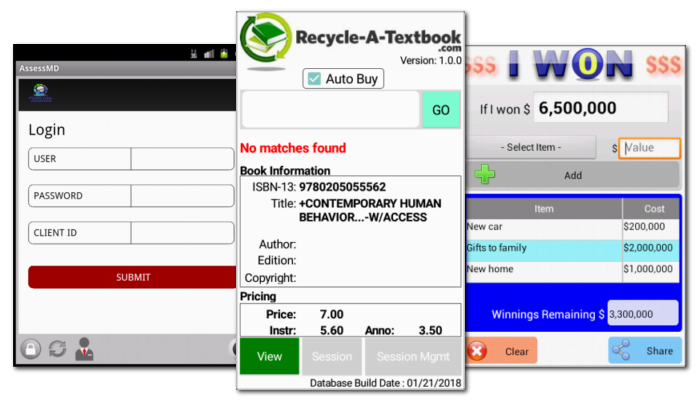 Formats including ISBN (for books and publications), UPC (for products and SKUS) and the popular Code 128 and QRCode. Create code and save to either PNG or JPG. 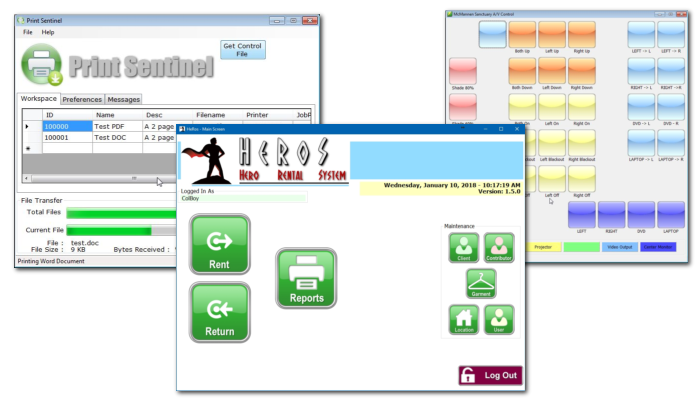 Experience in creating utilities, applications and systems both client and client/server. A variety of database backend systems are often integrated including: MSSQL, MySQL, PostgreSQL, SQLite, DBF and a varity of less popular database management systems. Often barcode and RFID technologies are also integrated. With a vast range of experience creating Windows Mobile solutions, Android development was a natural extension. Applications can be designed to take advantage of Android's increased power and screen resolutions. In addition software can utilise the built in camera to use as barcode scanner and many device come with NFC, opening up a wide use of applications. Windows Mobile development sucessfully implemented on a wide range of devices, from manufacturers including Zebra, Symbol, Psion, Motorola, Intermec, Honeywell, HHP, Datalogic and a variety of smaller manufacturers. 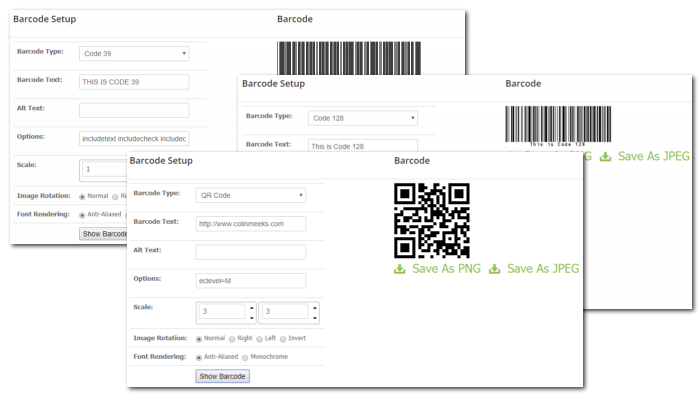 Often barcode and RFID technlogies are also integrated. Asset Tracking, Inventory Control, Inspection and Proof of Delivery are a sample of the applications created. Whether it's a program to automate a laborious task, or a system to help you run your business, I have the experience that counts. 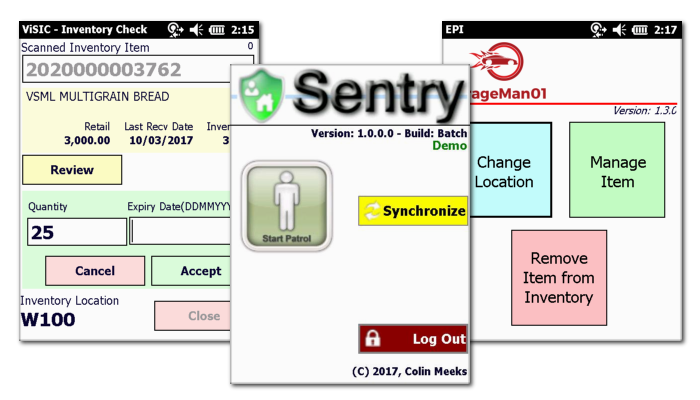 A wealth of experience programming for Windows Mobile, Windows CE and Android. I've worked with a wide range of clients including provincial and federal goverment departments and small businesses to large corporations. Specializing for over 17 years in ID systems (inventory control, asset management, inspection, proof of delivery) that utilize barcodes and/or RFID. These systems were programmed for a variety of platforms including Windows Desktop, Windows Mobile, Android and the web. Experience with a number of databases including MSSQL, MySQL, PostgreSQL, SQLite, xBase and a number of more esoteric database systems.